SACRAMENTO—The Administrative Office of the Courts (AOC) named Theresa Taylor- Carroll as the new assistant director of its Office of Governmental Affairs, which advocates for the legislative agenda of the Judicial Council and monitors and reviews legislation affecting the California court system. She will begin her new role on December 3, and will work with Cory Jasperson, who was named earlier this week to lead the Office of Governmental Affairs as its new director. Taylor-Carroll brings a wealth of state legislative experience to the AOC. Her previous positions include serving as Assistant Secretary for legislative and constituent affairs in the Secretary of State’s office, legislative director for a State Assemblymember, and government relations consultant for national non-profit housing and community and economic development organizations. Taylor-Carroll also brings a substantial amount of legal experience and expertise to the job. She has served as general counsel to the speaker of the State Assembly, counsel to the state Senate Judiciary Committee, and senior legislative counsel to the State Bar of California. 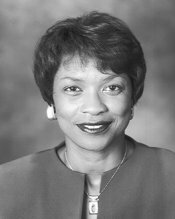 In addition, she has been an administrative law judge conducting Medi-Cal hearings, and earlier in her career served as an assistant staff judge advocate for the U. S. Air Force and as a special assistant U.S. attorney in the Eastern District of California. “I am excited to become a member of the legislative team working for the benefit of the judicial branch and the citizens of California,” said Taylor-Carroll. “I am keenly aware of the tremendous challenges facing the judicial branch, as it works to fulfill its mission of providing independent, impartial, and accessible administration of justice and access to the courts for attorneys, private citizens, businesses, and government. I passionately believe in a strong, independent judiciary and I look forward to assisting in forging creative and practical solutions to those challenges in these times of limited resources."